An exploration of the coast. The crashing waves and sand between your toes. A collection that celebrates the deep healing powers of the ocean and the joy and relaxation that surfing brings. 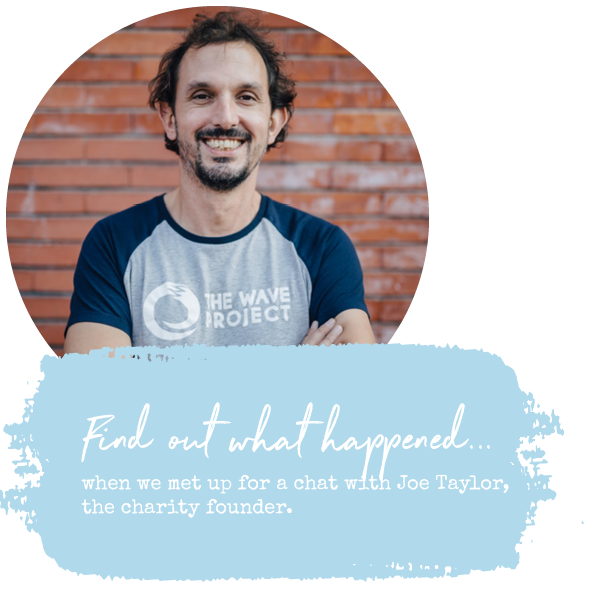 The Wave Collection is influenced by the inspirational work of the surf therapy charity, The Wave Project. Featuring glistening silver charms and woven bracelets, these delicate, handmade accessories are designed to keep you connected to the coast, wherever you happen to be at the time. The Sun symbolises life and strength. 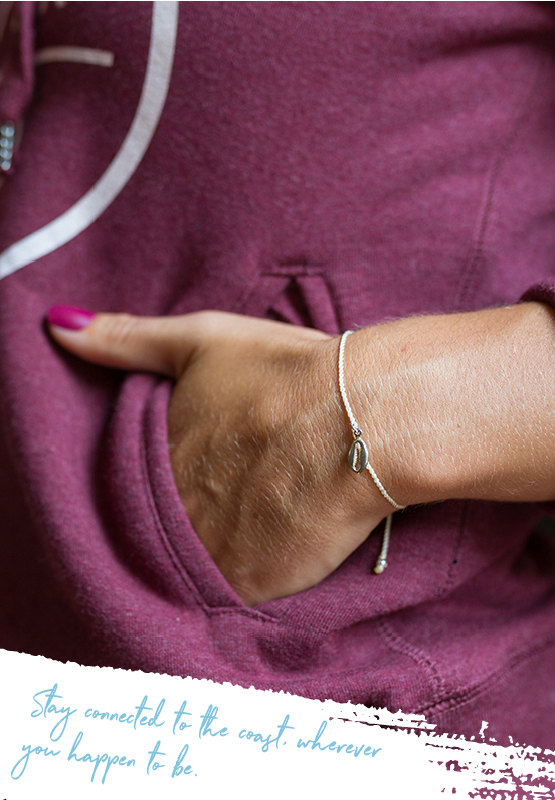 Wear this surf bracelet as a constant reminder to be strong and thoughtful in the face of every challenge. Handmade cord surf bracelet with a sunshine charm. Made in collaboration with The Wave Project. 100% nickel free. Inspired by the happiness and nostalgia that shell collecting brings, our shell surf bracelet is a timeless expression of simplistic joy and natural beauty. Handmade cord surf bracelet with shell charm. Made in collaboration with The Wave Project. 100% nickel free. Starfish travel safely through troubled waters. They are strong, vigilant and intuitive. 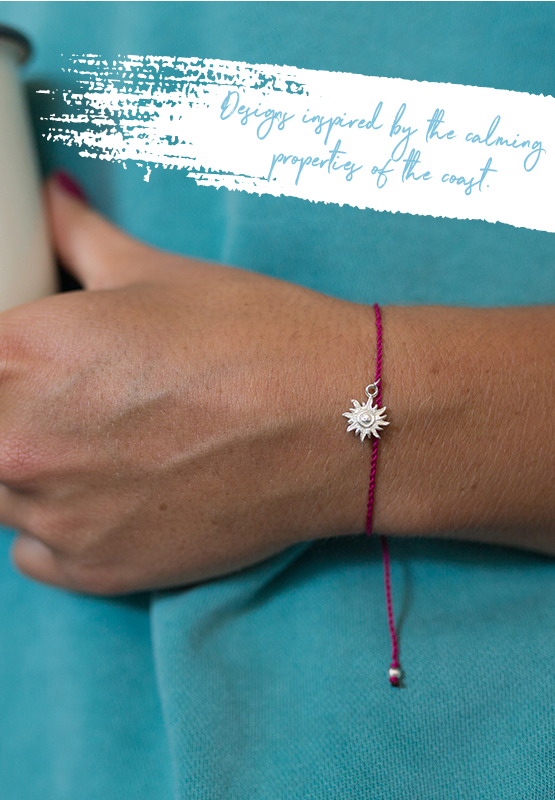 The Starfish surf bracelet reminds us of the importance of keeping a level head in choppy waters. 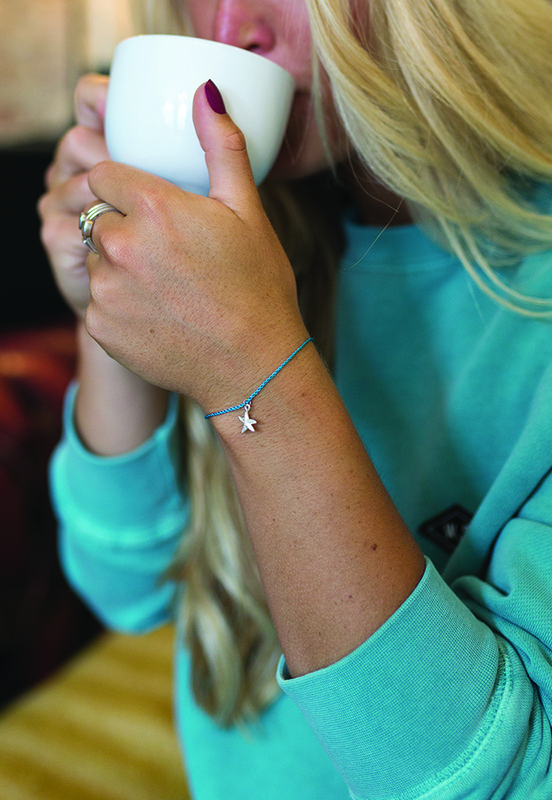 Handmade cord surf bracelet with starfish charm. Made in collaboration with The Wave Project. 100% nickel free. We see turtles as explorers. They are resilient, curious and mindful. 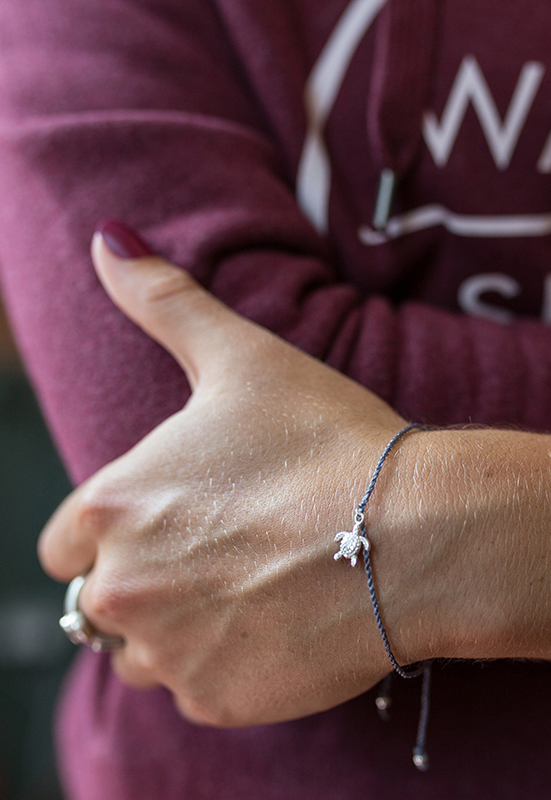 The Turtle surf bracelet brings an element of the turtle life to your wardrobe. Handmade cord surf bracelet with turtle charm. Made in collaboration with The Wave Project. 100% nickel free.